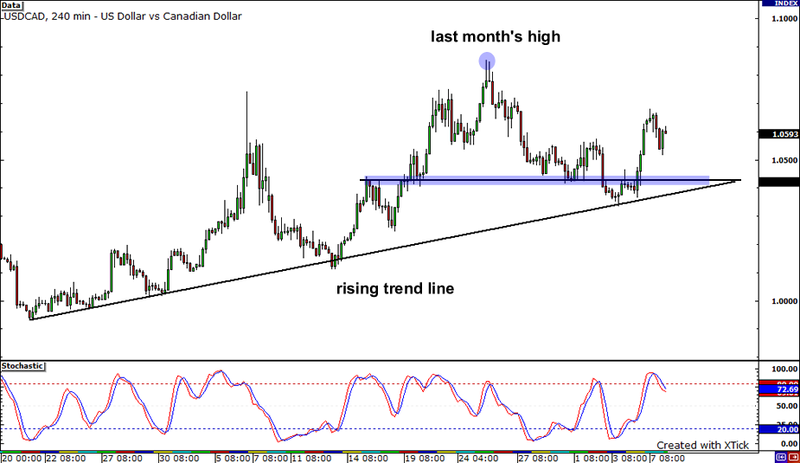 Check out the USDCAD 4-hour chart I posted above. The pair seems to be on a steady uptrend, with a rising trend line connecting the lows of its price. However, the stochastics are starting to crawl down from the overbought area, suggesting that downward price action could take place. If the pair edges lower, it could find support at the area of interest around 1.0430. 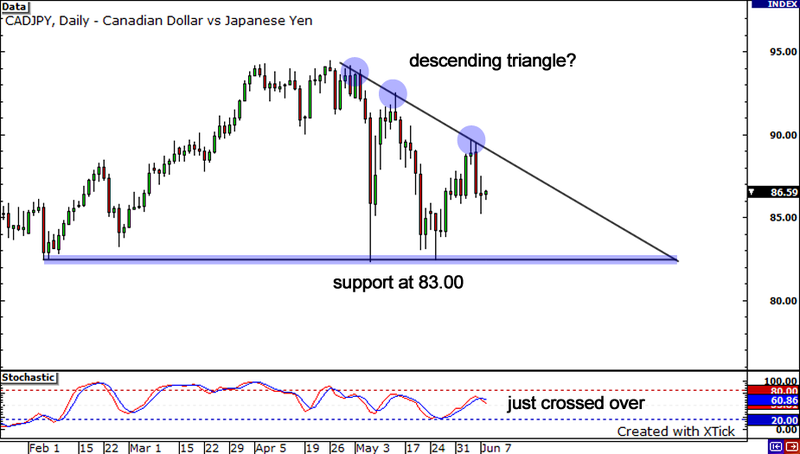 Of course the trend line could also act as a support level but, if it doesn’t hold, the pair’s uptrend could reverse. If the pair bounces from the trend line, it could continue its climb, possibly until the previous month’s high at 1.0850. Kapow! 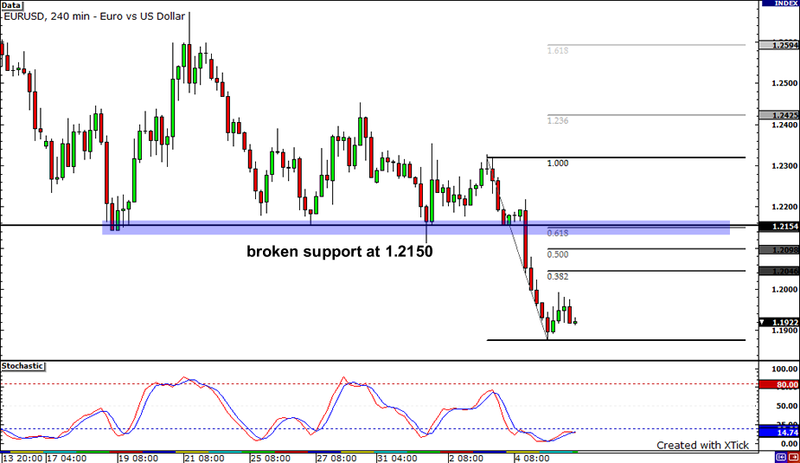 The EURUSD karate-chopped through the key support level at 1.2150 last week and dropped to a low of 1.1876 yesterday. With the stochastics in the oversold area, this could be a sign that sellers are already exhausted. The pair could pull back, possibly until the 1.2150 mark, to look for more sellers. This level happens to coincide with the 38.2% Fibonacci retracement level, which means that many traders could also be waiting to short once the pair reaches this area. If the pair does find resistance at 1.2150, it could fall back to yesterday’s low near the 1.1900 handle. Lastly, let’s pull out something from Cyclopip’s bag of goodies and take a look at the CADJPY. I’ve popped on a daily chart of the pair, and it seems to me that a descending triangle is forming. Notice the the lower highs that have been forming? With stochastics crossing over recently, we could see price continue to drop before resting at the 83.00 handle, which has served well as a support level in the past.